Aaron Sorkin’s first show, Sports Night, has recently come to Neflix streaming. Now, I’m a big fan of The West Wing… and if you aren’t, you should be. Especially of the first three seasons. It’s brilliant. Full characters. Crisp dialogue. It’s funny. It’s dramatic. It’s the whole package. Sports Night didn’t last very long. I remember it being on, but I didn’t watch it. I remember people (critics) saying it was great. But, it never found an audience and so, like all things that don’t find an audience, it was cancelled. Sports Night was a behind the scenes look at a nightly sports show, the people who made it and their personal stories. (Sound familiar?) It gets even better. Within an episode, the story moves, effortlessly from comedy to deeply personal drama for the characters, and then back again. The dialogue, absolute Aaron Sorkin, rapid fire, repetition, intelligent, dry. And then, of course, the walk and talk. This looks and feels like it could take place in the same universe as The West Wing. In part it’s the writing, but, it’s also the direction of Thomas Schlamme, who went on to direct the pilot of… The West Wing. 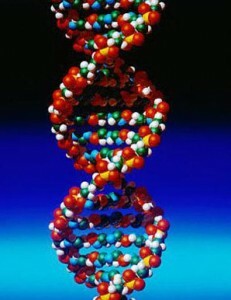 All the building blocks… the DNA. All of this was done in the guise of a Half Hour Comedy. There’s even a laugh track. And it’s weird. It’s weird having a laugh track with something like this. But, this was ABC, and nothing like this had been done in recent memory. So, I’m sure they ordered it. To make it look familiar, so the audience wouldn’t freak out, so the audience would know which jokes to laugh at… as if the audience wouldn’t know when to laugh, but, that’s something else. The show works… kinda… (I’m currently watching the first season)… Sorkin is learning how to make TV, brilliant TV… he’s moving from playwriting and screenwriting and telling ongoing, weekly stories of these characters. How much is episodic? How much is serialized? How funny? How dramatic? Aaron Sorkin is amazing writer, a unique voice in an industry that generally appreciates voices that are just like any other voices… One of the things that I love about Sorkin is that he challenges convention (a comedy that’s got drama) and he challenges the audience (he doesn’t talk down to the audience, and you’ve got to pay attention.) Sports Night is an opportunity to see a master story teller finding his feet. This entry was posted in TV and tagged Aaron Sorkin, Larry Pontius, Sports Night, TV, West Wing, writing. Bookmark the permalink. Post a comment or leave a trackback: Trackback URL.